Here are 5 fun facts about the Acropolis that you most surely didn’t know! Maybe Socrates could conceive some of his philosophical ideas while laboring. Maybe this temple has seen it all and suffered it all. Who knows? Well, for one thing, you won’t know if you won’t read, that’s for sure! 1. During the Ottoman occupation, the Parthenon was a mosque and the Erectheion next to it a harem. When the Ottoman occupation ended, the new king Otto wanted to build his palace on the Acropolis hill. Luckily, his father, who was very fond of the ancient Greek civilization, talked him out of it. 2. It is believed that Socrates was one of the stonemasons working on the monument’s construction. 3. Every column required 19,000 man-hours, which is the number of man-hours needed to construct a medium sized apartment block today. 4. The Parthenon’s sculptural decoration was finished by the 150 stonemasons and 50 sculptors who created it at the first place. Of those workmen, 20% were slaves, 30% Athenians and 50% metics (free, non-citizen residents). 5. The most important sculpture of the Parthenon was not outside but inside. There is evidence that the temple was built to measure in order to accommodate the chryselephantine statue of Athena by Pheidias. 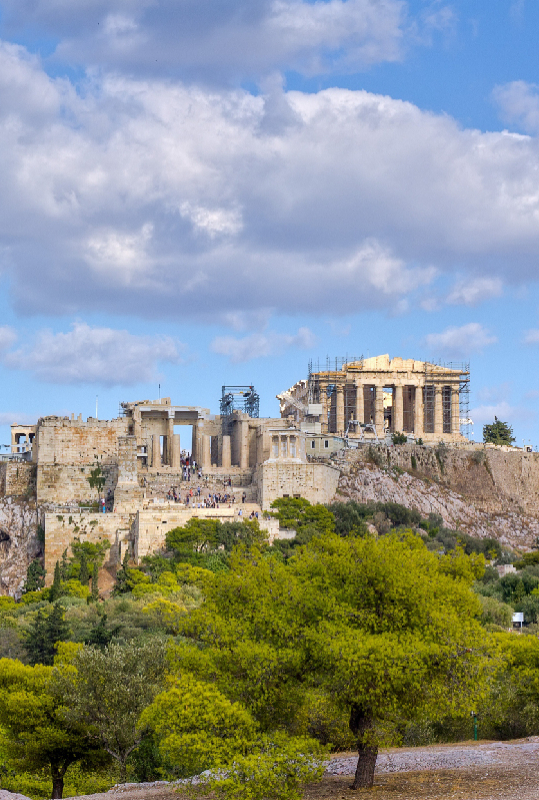 Learn more fascinating stories about the Acropolis & the Parthenon! Take the “Acropolis Classic” audio tour and listen to the experts at your own time and pace!